How to access shared folders set up on Windows 7 using a Windows 8 machine? I set up several shared drives and folders on my Win 7 machines, so that any new machine running Win 7 with the same user name and password log in can use those drives and folders. But on Win 8, I need to log in using my MSN (or Windows Live or soon to be Skype account)... so the user name and password are different from my Win 7 machines... so whenever I access those shared drives and folders (or just the machine), it will say access denied, without asking me to enter user name or password. In this case, is there an easy way to read / write files to those shared drives and folders? 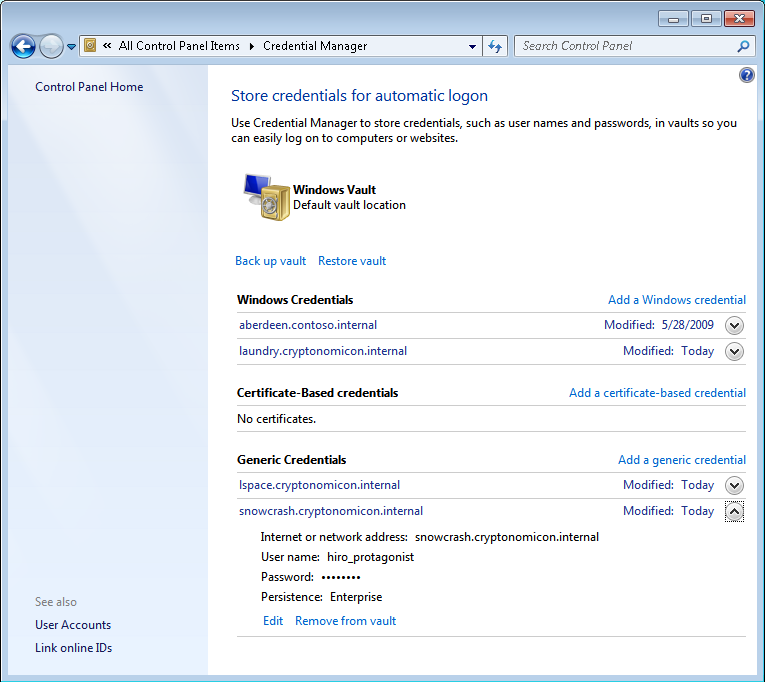 Use the Credential Manager to add the Win7 username/password. Not the answer you're looking for? Browse other questions tagged windows-7 windows-8 network-shares file-sharing shared-folders or ask your own question. How can I share data between two Windows 7 PCs on a LAN? How can I change my user credentials for accessing shared folders from a Linux machine? Windows 10, can ping other PC but cannot access shared folders! What gives?